I get Land's End Canvas catalogs, since I ordered some amazing clearance bikinis from them before the honeymoon (they came in so many colors! So classy, and $7-10 for each piece! I got three suits!). Anyway, it's been many years since I got something from Land's End, but their Canvas line is soooo cute. 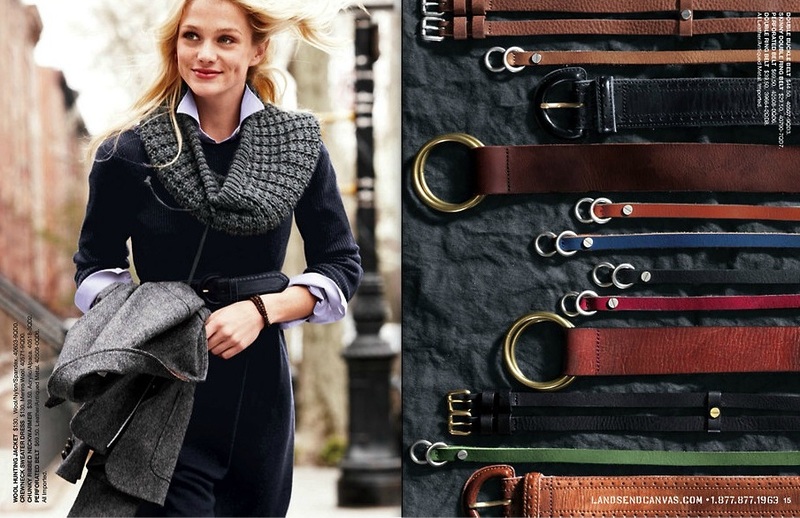 They had some great chambray, checkered, soft shirts and cute leather sandals over the summer, and I really enjoyed looking through their latest catalog. Land's End trying to update its stuff = success in my book. I love argyle. 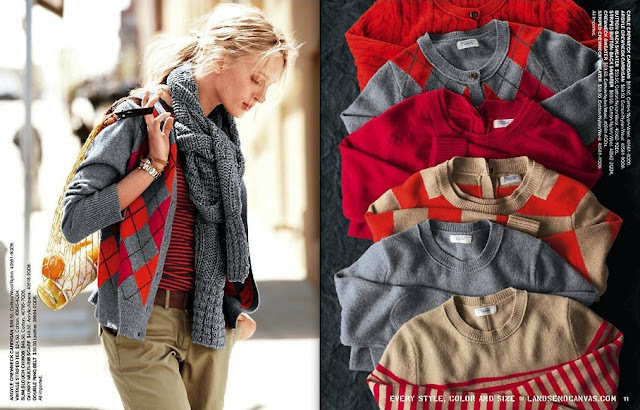 I get a very J. Crew-ey feel from this page, but everything is a fraction of the J. Crew price for equally good quality, I'm sure. And look at that cowl scarf! DIY project idea, anyone?! Thanks for the tip on clearance. I love lands end, but dont get the catalog. they make clothing that actually fits, which is always nice. It used to be pretty easy to find coupon codes on line for them as well, if you arent shopping clearance, but still want to save! I agree, they have great classic stuff and present it in a nice way. 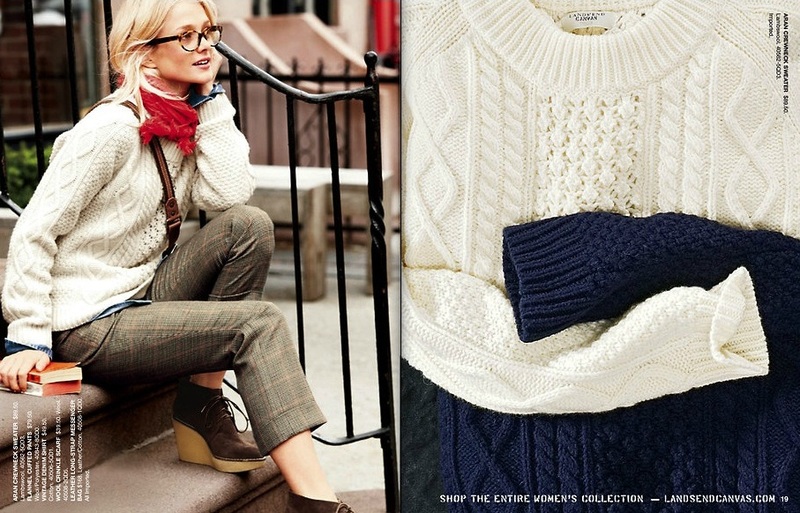 I noticed that aran sweater in the catalog, too! Awesome, I never would have thought to look at Land's End. Sometimes I pick up their stuff at the thrift store if it's basic, but that's about it. Thanks! I got 2 bathing suits from them, I couldn't pass up their amazing deals!